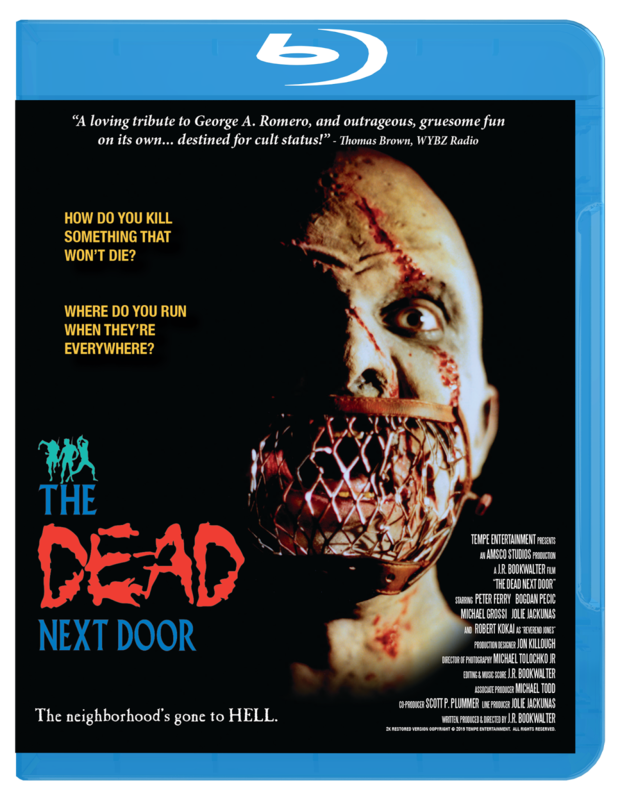 Tempe Entertainment recently send us over information that 1990 Super 8mm cult horror film "THe Dead Next Door" was recently released on Blu-Ray. The release boast a brand-new 4:3 and 16:9 1080p HD masters have been painstakingly created from a 2K restoration using the original Super-8mm film elements. Also included is a 5.1 surround mix which restores the voices of the original cast members for the first time ever, vintage and newly-prepared bonus materials, audio commentaries, and the original standard-definition VHS and DVD masters used for previous releases. The first 1,000 units are numbered and signed by the director, with reversible “retro” artwork and an eight-page, full-color booklet with liner notes by FANGORIA Editor-in-Chief Michael Gingold. Akron, Ohio: Tempe Digital today announced the immediate availability of a 3-Disc Ultimate Edition of the 1990 landmark independent shocker “The Dead Next Door,” the boutique cult label’s first HD release. Featuring Blu-ray, DVD, and soundtrack CD discs, the release follows a successful Indiegogo crowdfunding campaign to help fund the extensive restoration work, along a handful of limited theatrical screenings last fall. Two and a half decades before “The Walking Dead” made zombies mainstream on cable television, 19year-old writer/director J.R. Bookwalter (“Ozone,” “Witchouse 2: Blood Coven”) embarked on “The Dead Next Door,” an ambitious horror feature pitting an elite team of Zombie Squad soldiers against hoards of the undead and the secretive religious cult hell-bent on protecting them. The film would ultimately take four years to complete with the help of a now-famous Hollywood director and more than 1,500 Northeast Ohio residents, who portrayed the multitudes of bloodthirsty ghouls. For this one-of-a-kind release, brand-new 4:3 and 16:9 1080p HD masters have been painstakingly created from a 2K restoration using the original Super-8mm film elements. Also included is a 5.1 surround mix which restores the voices of the original cast members for the first time ever, vintage and newly-prepared bonus materials, audio commentaries, and the original standard-definition VHS and DVD masters used for previous releases. 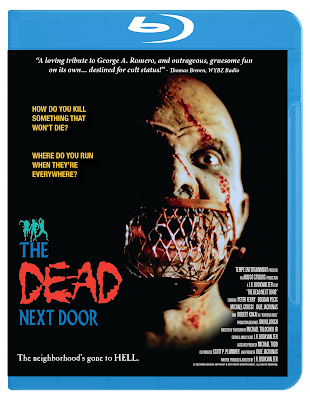 Priced at $34.99 with free USA shipping, “The Dead Next Door” Ultimate Edition Blu-ray is available while supplies last exclusively from the Tempe Online Store, with additional outlets to be announced in the near future. Collectables including a reversible theatrical poster, Zombie Squad iron-on patch, and limited VHS of the original 1990 version are also available.